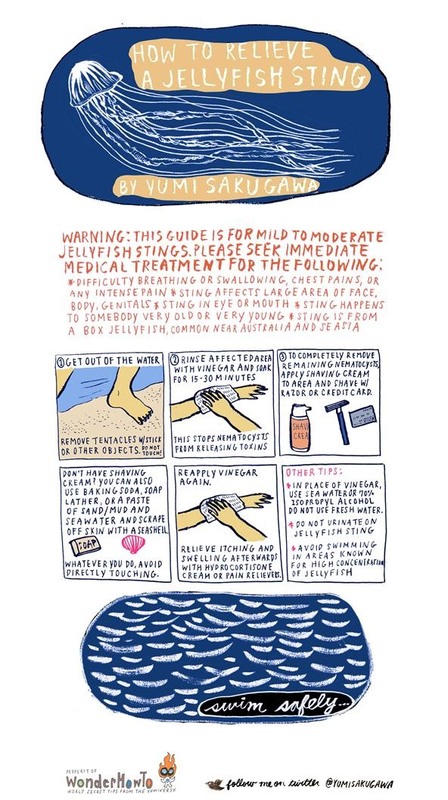 What should you do if you ever get stung by a jellyfish? First things first—do not urinate on your jellyfish sting. Contrary to popular belief, human urine can aggravate any stingers stuck onto your skin, causing more venom to release. Your best bet for relieving your jellyfish sting is to get yourself some vinegar, shaving cream and a razor. Note: This guide is for mild to moderate jellyfish stings only. If you reside in North America, you probably won't have to worry about life-threatening jellyfish stings. Stings from more poisonous jellyfish varieties, particularly the box jellyfish which can be found off the coasts of Australia and Southeast Asia. These are deadly and will require immediate medical assistance.